I’m just going to say it… I love Brownies. More to the point I love the Brownies from the corners and edges of the pan. I mean who doesn’t, right? 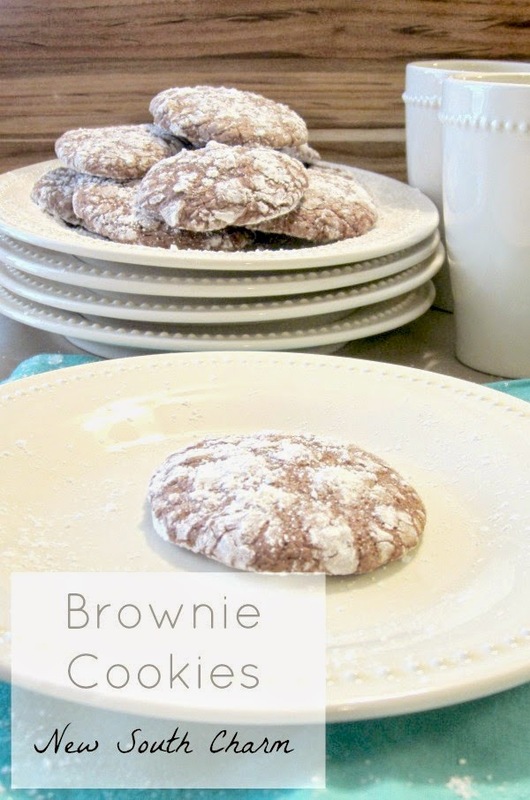 Well, these Brownie Cookies are just like having a corner piece every time. They are a little crunchy on the outside and soft and gooey in middle. In a word they are fantastic. These cookies are absolutely delicious and bake up in just ten minutes. To make them you will combine a boxed Brownie mix with flour, cooking oil and eggs. These ingredients make a really thick batter; thicker than typical Brownie mix. I think it’s best to mix the oil and eggs together with a fork in a separate bowl. Then work it into the batter slowly while stirring. Adding the liquid a little at a time makes it easier to stir but it’s not necessary. You can just dump it all in a bowl if you want. There is no right or wrong way. I spooned the dough on to a large cookie sheet that I covered with parchment paper but an ungreased cookie sheet will do just fine. I like using the parchment paper to make cleaning up faster but an ungreased cookie sheet will do just fine. Because the dough is so thick I recommend a cookie scoop to make spooning the dough out quicker. If you don’t use a scoop you’ll need to spoon out the dough or pinch it off and roll into a ball with your hands. Once I have the dough spooned out I like to sprinkle the top with powdered sugar. I think it makes the cookies look pretty and it gives them a little extra touch of sweet flavor. 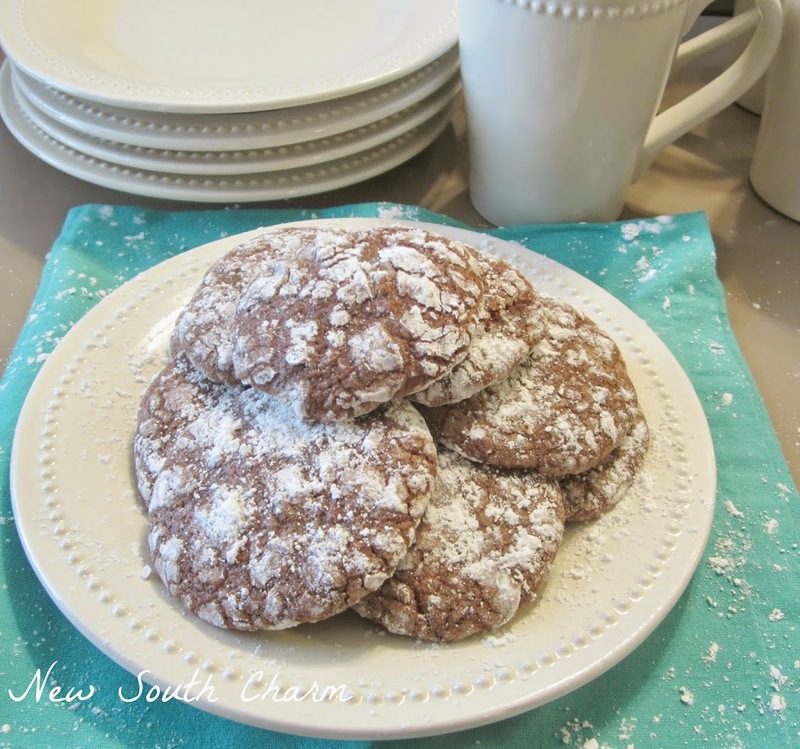 The powdered sugar is optional; these cookies are delicious either way. Like this recipe? Follow me on Facebook for lots of recipes and ideas that your family will love. Scoop with cookie scoop or pinch off a small amount of batter and roll into a ball. Thanks for stopping by. 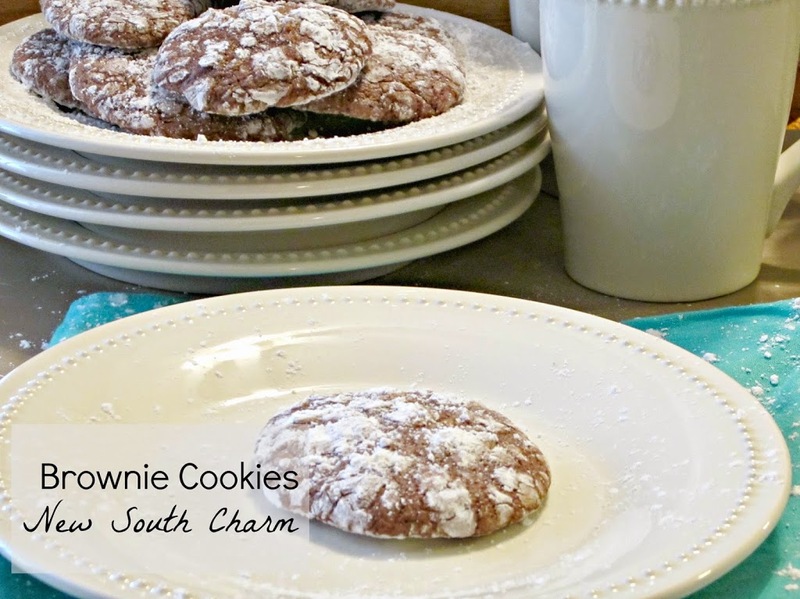 These cookies are great and so easy to make that I’m sure everyone would love them too. Sinea Thanks for stopping by and checking out my cookies. I know what you mean about not being sure where to Pin these cookies. My husband calls them Brownies even though I keep telling him they’re cookies. I say who cares just let me have another one. Hi Susanne. 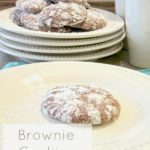 Brownies seem to be all the rage in my house at the moment so I bet my kids would devour these cookies! Thanks so much for sharing at Thriving on Thursdays. It’s always so nice of you to link up. I’m sharing this one at tomorrow’s party. Have a great weekend!